Complete with high quality HD visuals, enhanced lighting effects and an immersive sound experience the fear that was originally brought to players in Resident Evil Revelations on the Nintendo 3DS system returns redefined for home consoles. Furthermore, the home console version will deliver additional content including a terrifying new enemy, extra difficulty mode and improvements to Raid Mode such as new weapons, skill sets and the opportunity to play as Hunk and other characters from the series. Raid Mode, which was first introduced to the series in the original version of Resident Evil Revelations, sees gamers play online in co op mode or alone in single player, taking on the hordes of enemies across a variety of missions whilst levelling up characters and earning weapon upgrades. The critically acclaimed survival horror title takes players back to the events that took place between Resident Evil 4 and Resident Evil 5 and reveals the truth about the T Abyss virus. Resident Evil Revelations series favourites Jill Valentine and Chris Redfield, plus respective BSAA partners Parker Luciani and Jessica Sherawat. The action begins on board a supposedly abandoned cruise ship, the Queen Zenobia, where horrors lurk around every corner, before players head for the mainland and the devastated city of Terragrigia. With limited ammoand weapons available the race is on to survive the horror of Resident Evil Revelations. 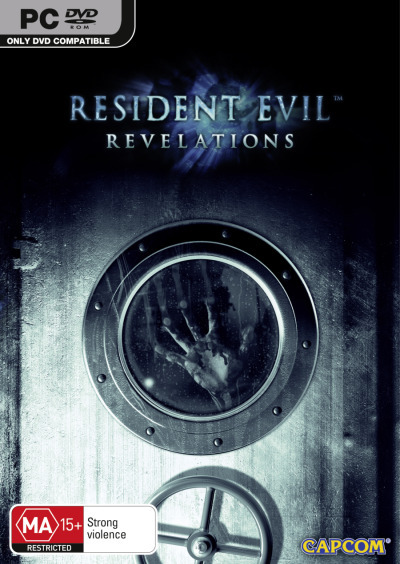 The Capcom Resident Evil Revelations PC Game was added to the PC Games category in October 2017. The lowest price GetPrice has found for the Capcom Resident Evil Revelations PC Game in Australia is $44.95 from DVD Land.